On the last Saturday of every month Contemporary Key, organises bespoke walking tours in and around London making the Contemporary Art Scene accessible and fun! The creative hubs explored include Hoxton, Soho, Bermondsey, Mayfair, Peckham, Angel, Bethnal Green and Fitzrovia. 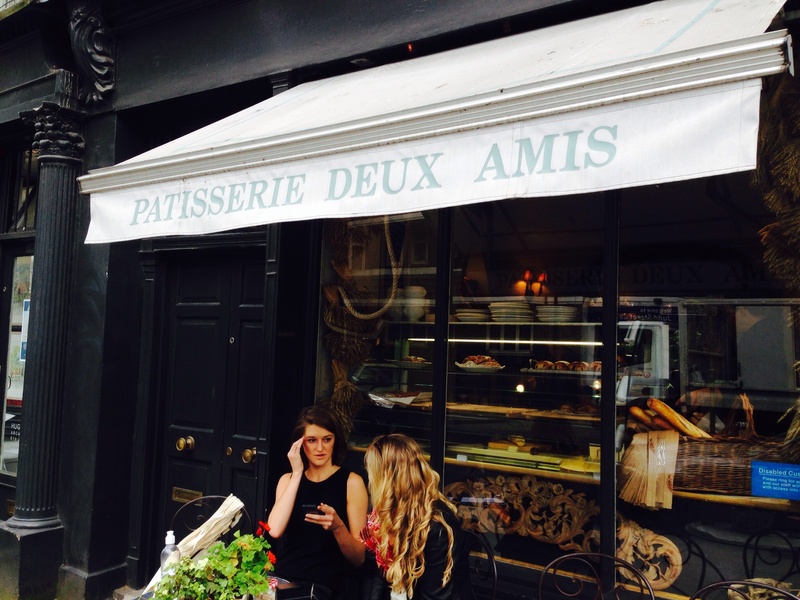 The meeting place was a charming little café not far from Kings Cross called Patisserie Deux Amis on Judd Street. We were advised to meet at 2:30. The 10 people participating in the tour set out on foot at 3pm with Alex and Lucinda leading us through the back streets of Bloomsbury. 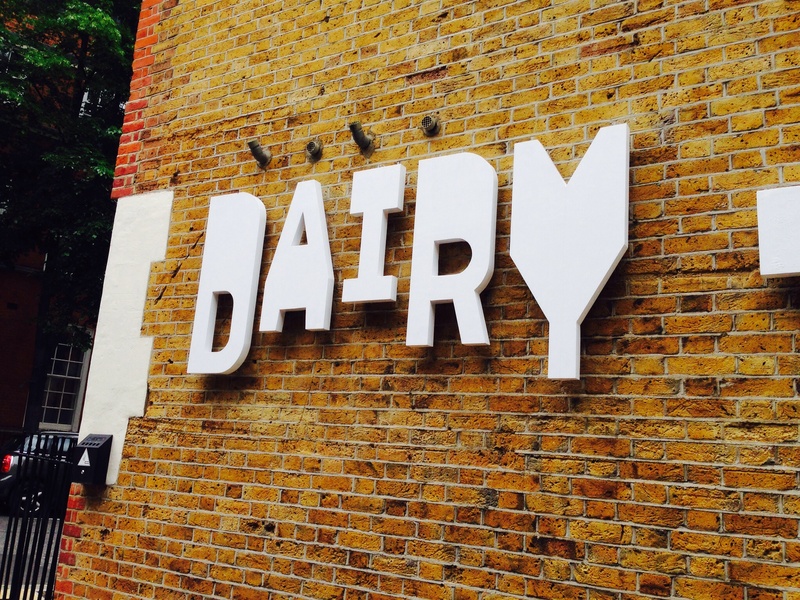 First stop The Dairy Arts Centre located a stone’s throw from the British Museum. This 12,500 square foot gallery was once the site of an Express Dairy. Today, the non-profit space, with free admission, is a unique and impressive venue to showcase contemporary art. It is the hope of founders Frank Cohen and Nicolai Frahm to share their lifelong passion for art with the public. 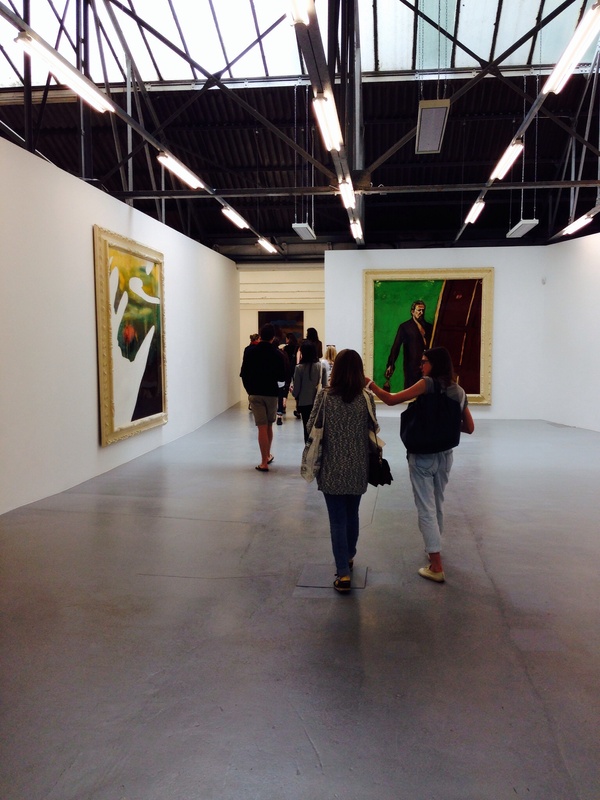 On show was an impressive exhibition of recent work by Julian Schnabel called Every Angel has a Dark Side . The exhibition runs through July 27th and is a must for anyone interested in exploring contemporary art in an incredible space and environment. Second stop The Cockpit Arts Studios on Northington Street. Cockpit Yard was originally an eighteenth century cockerel fighting arena. In 1745 it was taken over by a cabinet-maker and eventually evolved into the creative centre it is today offering not only affordable workspace but an array of support to the community of artists and craftspeople working side by side. Having a studio at Cockpit Arts is a recognised benchmark of quality, craftsmanship and design excellence. We were taken to 3 very interesting studios; Kelvin J Birk, a gold and silversmith, Sophie Manners, a weaver, and, an innovative textile designer, Rita Parniczky. It was Rita who left quite an impression on me. A young Hungarian textile designer with a host of awards, and commissions to her name. Barely six months after her graduation from the prestigious Central Saint Martins College of Art & Design, Rita was awarded a commission by The Worshipful Company of Weavers ( The oldest recorded City Livery Company ) and the Victoria & Albert Museum. The large-scale Wall Hanging currently installed at Saddlers’ House in London will join the permanent collection of the V&A in 2014. This weekend, June 6-8, Cockpit Arts is holding its Summer Open Studio. Normally closed to the public, you will have the opportunity to visit the studios of 170 designer-makers spread across two buildings. Do not miss this opportunity! Last stop was the Domo Baal gallery located in a beautiful Georgian townhouse at 3 John Street. 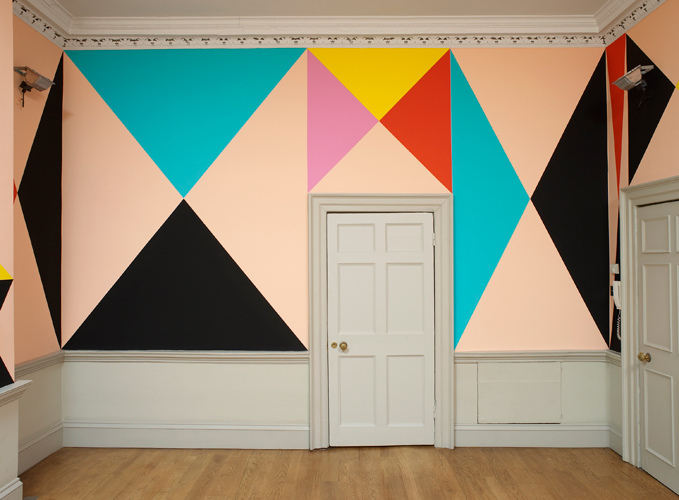 An installation of Rachel Adams work was on view in what was once most probably the “parlour”. We ended the tour with a glass of wine in yet another salon, surrounded by these enormous blocks of colour (below). 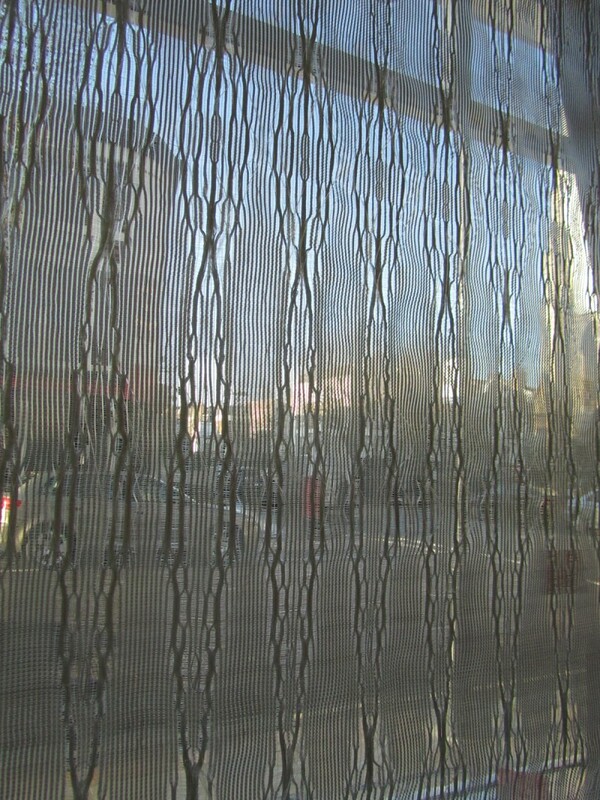 Lucinda and Alex’s insight into the Contemporary London Art scene was both refreshing and straightforward. Because the entire tour was conducted on foot, it allowed me to discover the back streets of Bloomsbury, an area of London I confess I do not frequent that often. What a great way to spend a couple of hours on a Saturday afternoon in addition to meeting a group of like-minded people interested in contemporary art. Best of all, the £18 tour price makes Contemporary Key events accessible to young audiences. If group tours are not your thing (tours are limited to 15 people) Contemporary Key has a bespoke service on offer as well. For up to date schedules, more information and to book tickets, please contact info@contemporarykey.co.uk and be sure to mention stylishmews! Great write up. Wish I could have been there with you. We had such a lovely day today thanks to a Stylish Mews! The studio openings were fun, the Dairy gallery space was amazing, and who knew there were so many fashionable men’s wear shops in that area. Thank you so much for sharing your exploration.